Home :: Construction / Percussive :: Spike / Post Driver :: Rhino PD-55 REBUILT POST DRIVER, 2"
Rhino PD-55 REBUILT POST DRIVER, 2"
Driving fence posts is a physically demanding job and may be impossible for some farmers with disabilities. The Rhino PD-55 (post driver) can be operated by one person. A reciprocating piston strikes directly on the drive cap or post. The drivers are lightweight and portable. 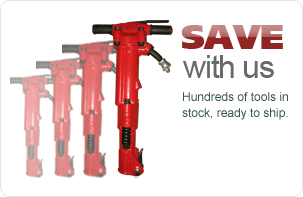 Medium Duty Post Driver with a 3 7/8" (98.4 mm) I.D. Master Chuck, uses 42 CFM (1.19 m3/min) @ 90 psi (6.4 kg/cm2). 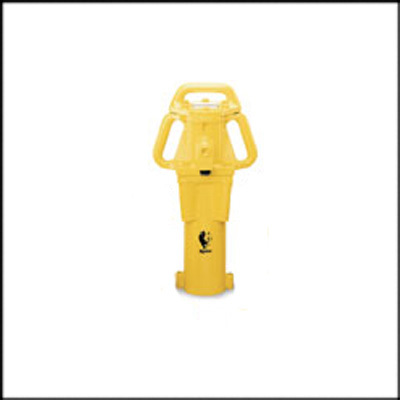 PD-55 Pneumatic Post Driver Drive a post with less effort using this air powered post driver. Rhino post drivers deliver up to 1700 blows per minute. Ideal for driving in places that are hard to reach. All you need is enough air capacity, the recommended air pressure and a filter-regulator-lubricator. The filter-regulator-lubricator assures that you have clean air with consistent pressure and ten drops of oil per minute. Top Cover: ? 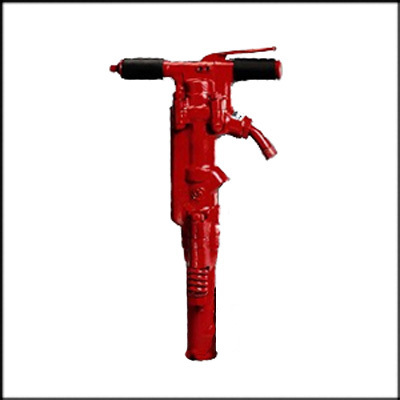 Ductile iron casting, high in strength and ductility has a 1" (25.4 mm) diameter handle designed into the cover for easy handling and carrying. O-Ring sealed. Body: ? Ductile iron casting, with excellent wear resistant characteristics. The air inlet is cast into the body and tapped with with 3/4" NPT female threaded ports, along with 1" (25.4 mm) diameter ergonomically designed side handles for easy handling and carrying. Chuck bolts pass thru the lower body flange into tapped holes in the chuck mounting plate allowing special chucks to be made in a wide variety of shapes and sizes. Piston: ? Alloy steel heat treated with a ground surface with hard chrome plate. Designed with 2 round valve ports to give better lubrication and load distribution to the valve ring while running. Fasteners: ? S.A.E.Grade 5 bolts with belleville lock washers. All fasteners are plated.